Are you a good driver? “Of course!” you’d probably say. Well then, are you willing to prove it? You can, if you install the RightTrack telematics device in your car to track your driving habits. Both Liberty Mutual and Safeco offer customers car insurance discounts — up to 30 percent! — in exchange for participating in RightTrack. Sounds good… but it’s a little more complicated than that. Used jointly by Safeco and Liberty Mutual, RightTrack is one of many telematics programs out there. In the car insurance world, telematics means the use of a small in-car device to track people’s driving habits. The benefit for customers: insurance discounts for being a safe driver. 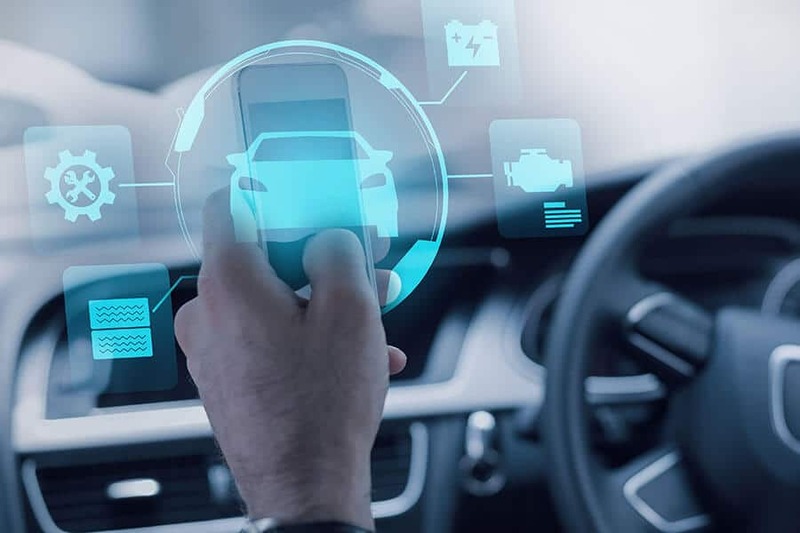 The benefit for insurance companies: the ability to collect vast amounts of data about how, when and where their customers drive. Having this data allows them to better calculate risk, both for an individual driver and for the pool of drivers in general. The RightTrack program is simple. There’s no charge to sign up. In some states, you receive a little device in the mail that plugs into your car (usually into a port under the steering wheel). In other states, you get a digital tag that you stick on your windshield, which works in conjunction with the RightTrack app. Hard Braking: This is defined as slowing down more than 7 miles per hour/second, which really isn’t that dramatic. Rapid Acceleration: This means accelerating more than 7 miles per hour/second. Time of Day: If you often drive between 12 a.m. and 4 a.m., that may mean you’re a higher-risk driver. Miles Driven: If you drive long distances for work or other reasons, your risk of a car accident increases. RightTrack records all this data for 90 days, then assigns you a discount based on your driving habits. The car insurance discount: Liberty Mutual and Safeco give you an immediate 5 percent discount just for signing up, then, after the 90-day tracking period, a permanent discount of up to 30 percent. That’s comparable to other insurers’ telematics discounts, like Allstate’s Drivewise (10 percent for signing up, then up to 25 percent) and Nationwide’s SmartRide (10 percent for signing up, then up to 40 percent). Plus, you won’t get penalized for bad driving (unlike in Progressive’s Snapshot program). The ability to check your own driving habits: Instead of just waiting and hoping that you’re earning a big discount, you can see RightTrack’s data in real time, either on RightTrack.com or on the app (for iOS and Android). Check your projected savings and review your recent trip details. Some Liberty Mutual RightTrack reviews say the app is glitchy, however. The short duration of tracking: RightTrack only requires monitoring for 90 days. After that, you can stop using the device and keep your discount. if you opt out early, however, you lose any discounts you’ve earned. The long duration of the discount: “The discount you earn will apply to your vehicle or its replacement for the life of your policy,” both Safeco and Liberty Mutual promise. That’s pretty sweet. So if you can manage to drive super carefully for 90 days, your discount could last a decade or more. The impossibility of being a “perfect” driver: Many Liberty Mutual/Safeco RightTrack reviews say there’s no way to get zero hard braking and rapid acceleration incidents. If you’re driving in the city, where stop-and-start traffic is the norm, you’ll have to brake suddenly a few times. And the 7 mph standard for rapid acceleration is pretty darn slow, especially if you’re getting on an interstate. One user describes tapping his gas pedal ever so lightly when the light turned green, so he wouldn’t exceed the limit: “You know it’s bad when little old ladies in their Buicks… who were behind you, fly by on the left and give you a dirty look or flip you the finger, it’s depressing,” he writes. RightTrack isn’t the only way to save on your car insurance. First, compare quotes from multiple insurers. Then, if you opt to become a Liberty Mutual or Safeco customer, you can try RightTrack for yourself.